Cloud computing is the process of using an off-site network of computers or servers to process and store data. 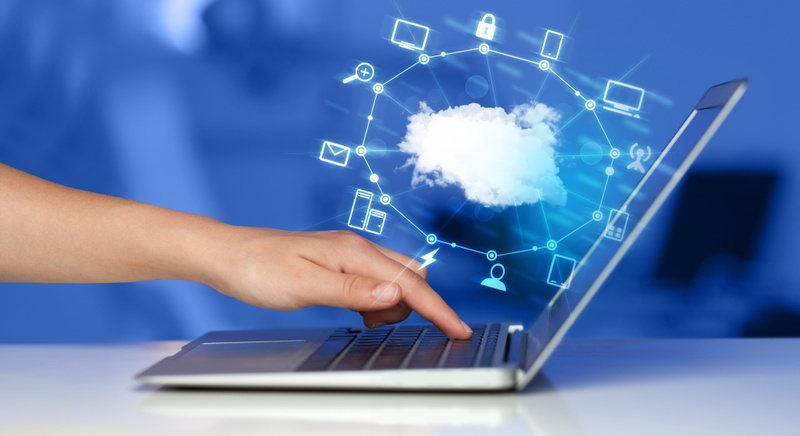 Cloud computing is often seen as the solution to all local computing and IT challenges as companies move entire workflows from the ground to the cloud. But the cloud is not appropriate for all applications and server needs, and most business users will find that a hybrid solution is right for them, using both local machines and the cloud to store and manipulate their data. This hybrid approach to IT requires careful planning of what applications to run in which environment. Here are a few points to consider before moving an on-site application to the cloud. You will need to be able to get a global view of your applications and data in order to determine which applications and data streams belong in the cloud and which would be best on the ground. As each company’s setup is unique, so is their ideal monitoring system. IT management will need to track computing time and data storage needs for each application in each environment. Applications with high computing time and low data storage needs belong in-house rather than in the cloud, and vice versa. Data security is a concern for most corporations and something that should be considered when choosing a cloud computing host and when deciding where each of your applications will be run. Cloud computing facilities normally make their security policies clear, but corporations are ultimately responsible for the security of their own data, and if the cloud is hacked the corporation may still retain some responsibility for the breach of security. So depending on the level of security needed for your applications and their associated data, the cloud may not be the ideal choice. Sending and retrieving data from applications in the cloud takes time, and communicating with the cloud can reduce users’ productivity depending on how often they need access to different applications. Frequently used applications may be better off on local machines for this reason. There is also the issue of outages with your cloud computing service. You have no control over this variable, and even with a well-maintained company outages can last several hours, causing you big headaches depending on your deliverable and what you use the cloud for. Keeping monitoring, security, and accessibility in mind while determining what applications belong on the ground and in the cloud will serve IT professionals well, and allow them to manage and upgrade their hybrid IT environment with minimal outages or loss of productivity.